What are the HSBN / Miami Marlins Media Day Weekends? An annual event put on by HSBN to showcase every team and every player in South Florida! And this year our very own hometown team, the Miami Marlins, will have a major presence at the event! Each team will go through registration, take a pregame, hit in the cage, run 60s, and participate in a media press conference, which will be streamed live on our new channel, HSBN Live! presented by the South Florida Broadcast Network! 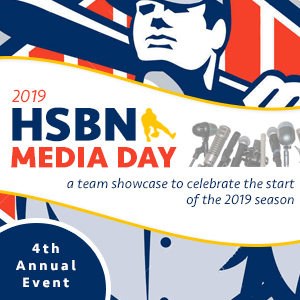 Featuring great food, generous vendors, and music to keep the energy high, the HSBN Miami Marlins Media Day Weekends will celebrate the start of the 2019 high school baseball season with an event like none other in the country. All Space Coast, Palm Beach, Broward and Miami teams, collegiate and MLB scouts, parents and fans. FREE for participating high school players, coaches and children under 8! 1. Each coach will contact us to choose an available time spot below. – Teams MUST participate to have rosters entered on HSBN sites in 2019. – Teams MUST wear uniform shirts and hats for each part of the day. 2. Teams will arrive 30 minutes prior to time listed in chart below. Schedule for Each Team – Teams Must Show up 30 minutes Prior to Registration Time Listed Below.